I was thrilled to be invited to do a demonstration at the 2018 Jimmy's Festival in Ipswich at Jimmy's Farm. At Jimmy's Farm all year round you will find a working farm, wildlife park, adventure play, shops, gardens, a restaurant, a farm shop and butchery. For Jimmy's Festival, it's all of the above and amped up some more for their annual celebration of music & food on the Farm on 21st & 22nd July, 2018! 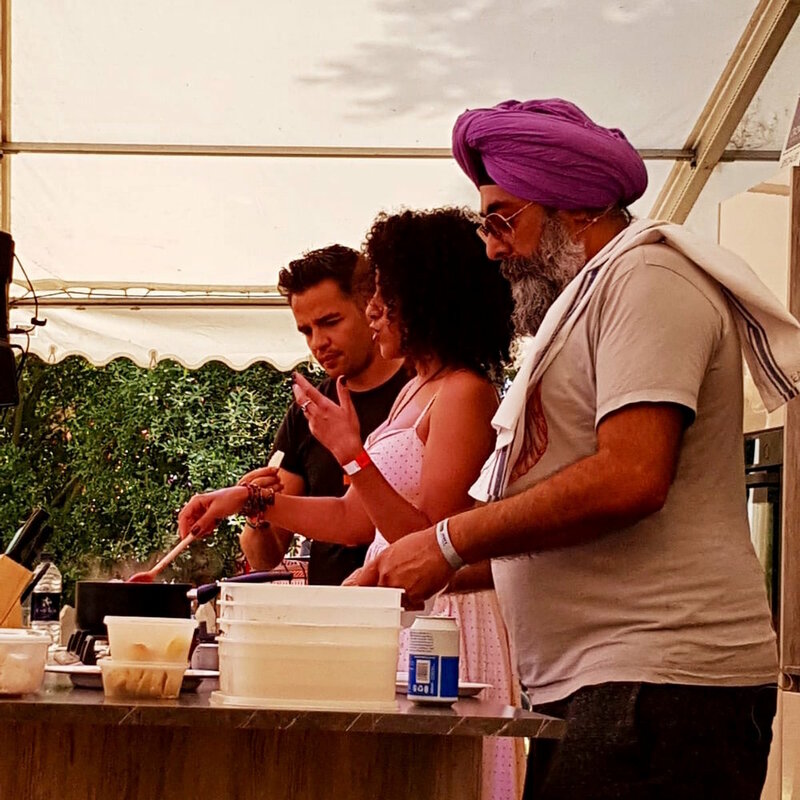 My food demo was hosted by TV Presenter Joe Hurd who did such a fabulous job all festival and Hardeep Singh Kohli who was also giving one of his brilliant food demonstrations. 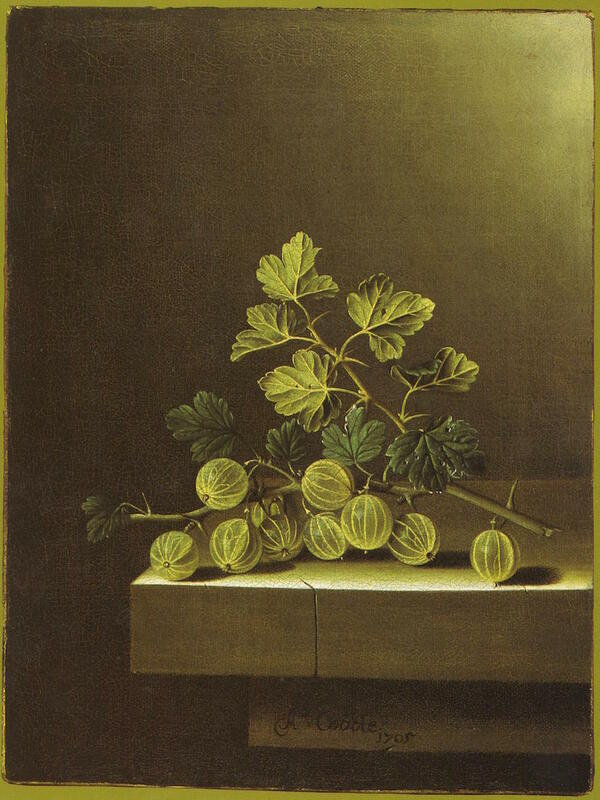 More on the festival in a bit, for now here are some of the images relating to the history and art of gooseberries from of the podcast. Bryan Nellist of the Egton Bridge Gooseberry Society with his world record heaviest gooseberry won in 2009, weighing in at 35 drams or roughly 62 grams. 1. 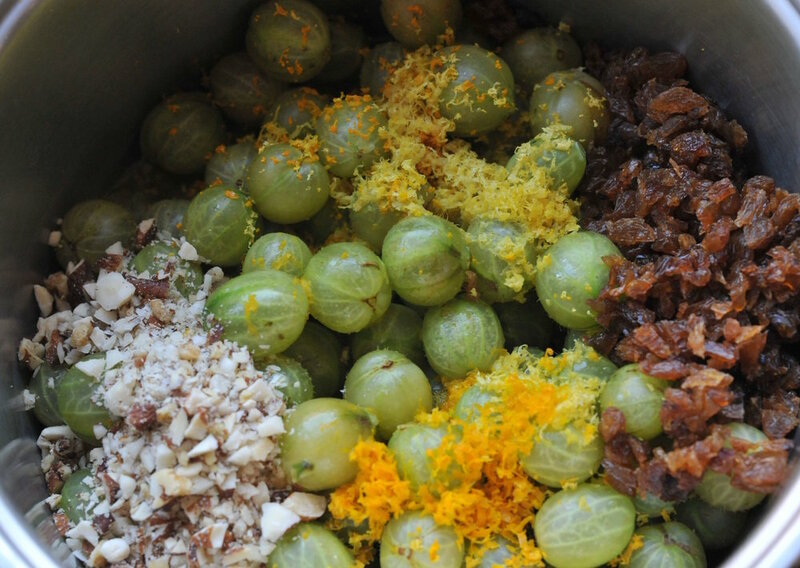 Put the gooseberries, citrus rinds and juices, sugar, walnuts and sultanas in a heavy pan. 2. Cook on medium-high heat for about 30 min or until the mixture is thick and the gooseberries are cooked and soft. 3. Continue simmering for another 10 minutes until the mixture is very thick. 4. Place in sterilised jars and lid. 5. Will keep for 6 months, best eaten within 3 months.